The Engagement Ring Dilemma: Is It a Sign of Love? or Status? Focus on the depth of your love. At the very time that you’re reading this article, several women are becoming engaged to hopefully the man of their dreams. And when he proposes, and opens that box that holds one of the most precious rings that she’ll ever receive… Will she be excited or disappointed? For the last 28 years, number one best-selling author, counselor and life coach David Essel has been helping couples to decide if they’re ready to marry, how to go about the engagement ring process, and even helping the man decide how to surprise his special lady. But over the years as well, engagement rings have become to many, a huge status symbol. A status symbol for love? Or popularity? 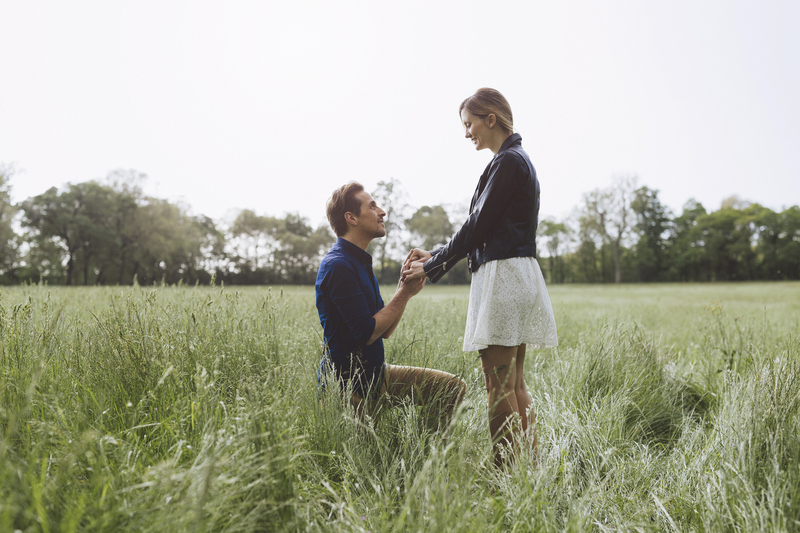 Below David talks about the engagement ring dilemma, and how some couples are struggling in their attempt to find love through the engagement process. “When he says, “will you marry me”, for millions of women around the world this year, it will be the words she’s been hoping to hear her entire life. Even if it’s her second, third or fourth marriage… The thrill and excitement still can seem like it’s the very first time. But there’s been a trend over the years that I’ve seen, in regards to the dilemma about the size and value of the engagement ring, not just the depth of love a man might have for his girlfriend. It really seemed to explode when the world of reality television shows started to become abundant in our lives. I’m sure it started way before that, but in my practice of helping young couples, and middle age couples who are about to be engaged, there seemed to be an uptick in the value that some women place on the size of the ring, that has created stress and disagreement in the relationship. A woman started the work of personal growth, and in her first session, was extremely concerned about the lack of size of the diamond in her engagement ring. She didn’t doubt that she loved her boyfriend, but she was concerned that the ring she was wearing on her left hand wouldn’t meet her girlfriend standards. “I’ve seen so many beautiful rings over the last 10 years, and I was really hoping when I got engaged that the man that wanted to marry me would show me the depth of his love, by buying me a very large, clear cut diamond that I would be proud to wear. I’m not the only counselor and or life coach that has experienced this type of conversation in the past. And her boyfriend was not happy at all with her response to him about going and getting a bigger, better, more expensive diamond. I understand the pressure today of women to stand out in the world of engagement rings, and I also understand how foolish it is to compare a man’s love with the size of his wallet. Her boyfriend had spent six months saving money for this ring, and he was very proud that he was able to do it without asking anyone for help, to loan him more money, or to tell him how to pick the ring out. He had shopped around to several jewelry stores, and believed he had gotten a really great deal and a beautiful ring. Now he was questioning if his girlfriend was really the girl for him. Or, do you side with the girl… Desiring a bigger ring to show off to her girlfriends? I’ve told the same story to many women over the years, that if you’re that concerned about the size of the ring, then you really need to look at what your priorities are in a relationship. And there’s nothing wrong with marrying a man who can afford a large diamond ring, so that you can feel more secure with your girlfriends. But the size of the ring is not going to guarantee a healthy marriage, or a more fulfilling marriage. On the flipside, let me tell you the story of an amazing young woman and her love for her fiancé. Against her parents wishes, and her girlfriends wishes, she found love with a man who had very limited earning potential. Not because he was stupid, or lazy, but he just didn’t put a priority on making money. Instead of taking her out to fancy dinners, he would surprise her multiple times a month with a well-prepared, beautiful lunch that he would show up at her office unannounced, and present in front of her with real silverware and cloth napkins. He had also gone and picked wildflowers, put them in his vase, and delivered those to her workplace as well. Because the responsibility to pay for the wedding was on his and her shoulders, neither of their parents had money to pay for their wedding or reception, he had told her upfront that the size of the engagement ring was going to be quite small, and that they should put the money into the wedding, into their honeymoon, and anything else they’ve saved into finding a new place to move into together. She smiled, lifted up her left hand, and showed me a simple silver band that was her engagement ring. As you’re reading this, and if you feel that if your fiancé gave you a simple silver band as an engagement ring that you would be disappointed, ashamed, and embarrassed to show your girlfriends… Maybe you don’t understand what love is yet. Maybe, you should either wait until you meet someone wealthy enough to get you a big, noticeable diamond ring, And just hope that the love part is there as well. And I have nothing against money. As a matter fact, my financial abundance is due to the fact that I work hard, do the work I love, and have been doing so for years. And I believe, that if you’re dating someone who can effortlessly afford a large ring , and wants to give that to you, where there is no stress on his bank account to do so, and you are deeply in love with each other… Oh my Lord go for it and enjoy it. But if you truly love someone, from the bottom of your heart, and they can’t afford anything more than a simple silver band on your left hand as an engagement ring, as a promise to marriage, grab it. Now. Show it to your friends. Feel proud. And understand that your future with this person, is just as secure as if you were wearing a ten karat diamond on your left hand. And if the love is that deep, the marriage just may be that deep as well. #1 best selling author, Life Coach, Counselor.